Venues and events across Canada are reaping the endless benefits by providing their patrons with phone charging kiosks with lockers. Each unit can be custom branded with a full wrap in additional to media that can be displayed on the LCD screen. 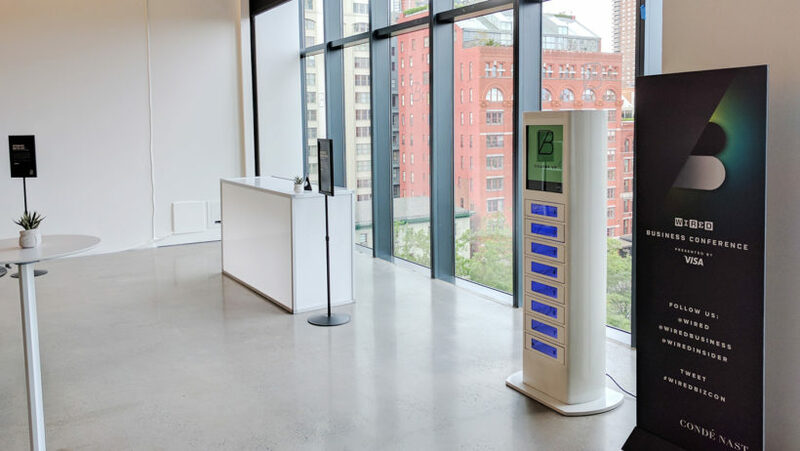 Cell phone charging stations with lockers have helped Canadian businesses and events increase customer satisfaction, foot traffic, and retention rate. 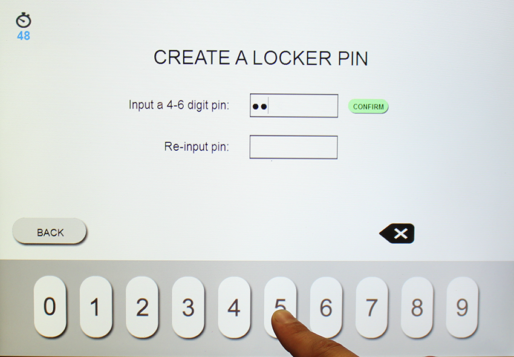 Users will access each locker with their own 4 digit combination or by using a payment card. If the charging kiosks comes with a credit card processor, the cards will act as the key for the lockers. The phone charging kiosks can be pay to use or free to use, where users will simply input a combination for locker access. 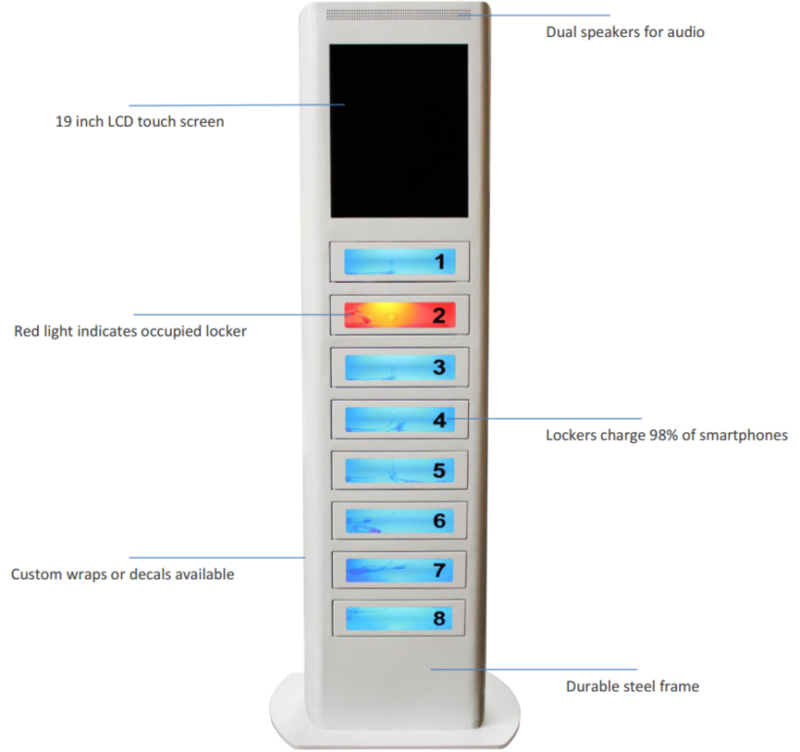 Our charging kiosks with lockers are available for purchase or rent and are ideal for any conference, trade show, university, hospital, and airport. Contact us today for a quote on a custom branded charging stations for your business or organization.